Product prices and availability are accurate as of 2019-04-14 09:33:22 EDT and are subject to change. Any price and availability information displayed on http://www.amazon.com/ at the time of purchase will apply to the purchase of this product. 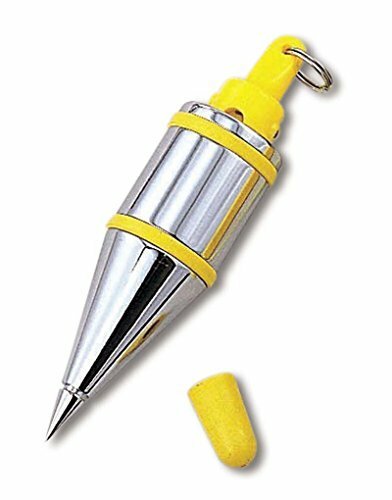 Unique plumb bobs with quick-stabilizing cap that reduces bob wobble and spin. Embedded elastomer side bumpers and thick tip guard protect bob and work surfaces. Chrome-plated to resist rust and corrosion. Snap ring for easy connect and disconnect to plumb line. Available in 21 oz., 14 oz., 10 oz, and 7 oz. weight options. 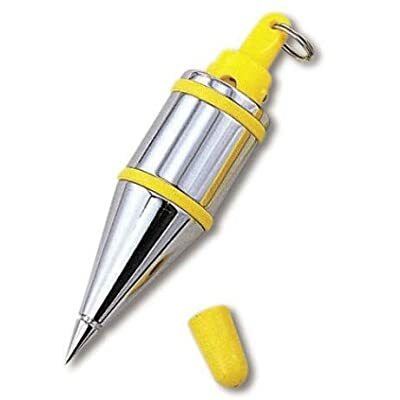 Use with Plumb-Rite plumb bob setters P-700 and PZB-400.